Robert Pires and Antonio Lopez have each been fined and suspended following an apparent altercation in the Indian Super League. Atletico de Kolkata coach Lopez was accused of striking the Frenchman during an ISL fixture against Goa on Thursday by his opposite number Zico. In a fractious affair that saw seven players cautioned as Atletico came from a goal down to win 2-1, Zico accused Lopez of hitting the former Arsenal man as the players left the field at half-time. Both Pires and Lopez have been suspended and fined, with the World Cup winner to miss Goa’s next two games while being hit with a Rs.500,000 punishment. 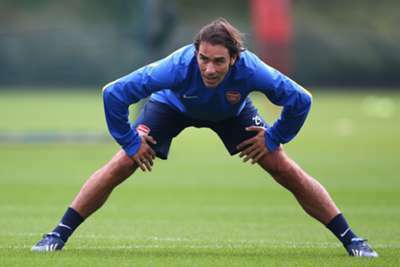 It means Pires will be out of action for the games against Pune City and Delhi Dynamos for what the ISL describe as a breach of rules relating to “Offensive Behaviour and Fair Play”. Lopez has been suspended for four ISL fixtures and fined the same figure for breaching the same rules for a second time having previously received a warning from the All India Football Federation. Both parties have four days to lodge an appeal.